The D.C. Circuit Court of Appeals last week rejected challenges to FERC Order 1000 by New England Transmission Owners and state officials (15-1139). The TOs had challenged FERC’s March 2015 ruling on ISO-NE’s Order 1000 compliance filing, in which the commission ordered the removal of the right of first refusal in the Transmission Operating Agreement among ISO-NE and the TOs (ER13-193, ER13-196). Emera Maine acted as lead petitioner, with independent transmission developer LS Power Transmission opposing the TOs as lead intervenor. The second part of the ruling rejected a petition by the state officials complaining that FERC’s ISO-NE compliance order violated state sovereignty. The TOs asserted that FERC’s orders were inconsistent with its past decisions, that the commission applied the wrong legal standard for measuring whether the Mobile-Sierra presumption had been overcome, and that the commission ignored the evidence before it. The April 18 ruling by a three-judge panel, authored by Judge Robert L. Wilkins, disagreed with the TOs on both counts. It also dismissed the TOs’ contentions that the commission identified no evidence to support its conclusion that the ROFR harmed the public interest by inhibiting transmission development and that it ignored the contrary evidence submitted by ROFR defenders. The TOs introduced evidence that ISO-NE had placed $4.7 billion in new transmission facilities in service and had another $5.7 billion in projects in development. That, the TOs said, proved that the ROFR did not harm the public interest. The court said the commission explicitly rejected the inference that “the incumbent transmission owners are sufficiently developing projects under the existing framework with their current rights of first refusal.” While the TOs’ claim of a functioning market with the ROFR “may be plausible,” the contrary conclusion drawn by the commission is also plausible, the judges said. 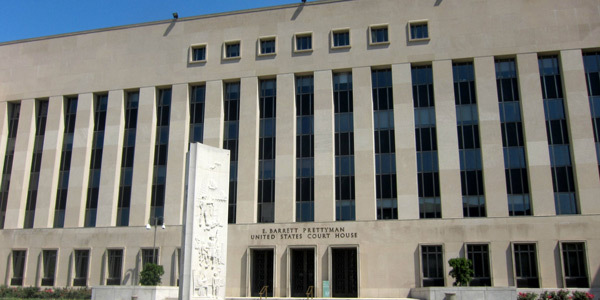 “Where the evidence might support more than one rational interpretation, ‘the question we must answer … is not whether record evidence supports [the petitioner’s] version of events, but whether it supports FERC’s,’” the court ruled. The court rejected the argument as an objection to Order 1000’s entire regional planning and cost allocation scheme, which assigns ISO-NE the role of planning for the region’s transmission needs. The court said the states misread the word “select” in Order 1000. NESCOE General Counsel Jason Marshall found some solace in the adverse ruling. “While the court denied our petition, its ruling provides an interpretation that we have long sought: that ISO New England is not required to select a policy-driven project as part of the Order 1000 process,” he said in a statement. “This is an important potential ‘off ramp’ and clarification, which helps to prevent costly projects from being selected for development that states do not view as advancing their policies or that are not in the interest of consumers. “We are still reviewing the court’s ruling and have not made a determination at this point regarding further review,” he added. NESCOE said that only states should have the ability to identify public policy-driven transmission needs for evaluation by ISO-NE.